With real estate prices increasing all over the United States many investors are seeking lower costs investment properties in a number of cities in Ohio. Notable cities in Ohio that these investors are looking at include Cleveland, Columbus, Dayton and Cincinnati. These investors are looking for lower costs properties with a good history of rents in order to better invest their money than they can in high real estate cost areas like Los Angeles, CA; New York, NY, Seattle, OR, Las Vegas, NV and more. As a result investment property prices in the Cincinnati, Ohio area are at multi-year highs and Cincinnati investment property owners might find it advantageous to sell their properties now while the prices are high. 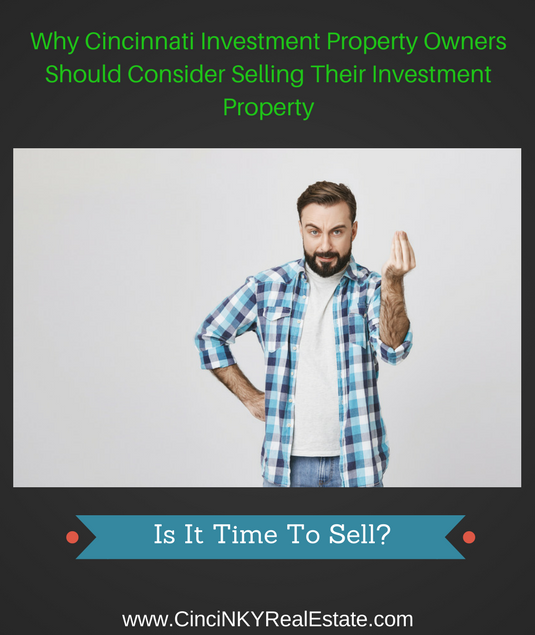 What Are Some Of The Reason For High Investment Property Prices In Cincinnati, Ohio? As the weather starts to warm up and the real estate season starts to heat up homeowners may be wondering what they can start doing in order to get their home ready for sale during for the spring market. In many areas the spring season represents the time when the most buyers are out looking for homes. By starting the preparation process now prior to the peak selling season homeowners can position themselves to be ready during the prime selling period of the year. 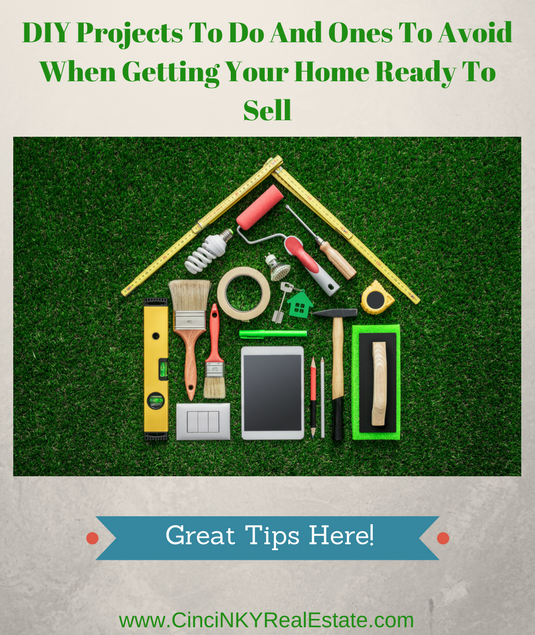 If the weather is still cold in your area or there is still snow on the ground then prior to it warming up it is a good idea to tackle indoor projects in order get the home ready for sale. While curb appeal is important to address the interior is just as important to work on as well. A critical part of any real estate transaction is the actual fixtures within the home that are required to stay with the home after closing. There have been many lawsuits filed on the basis of a homebuyer seeing something in a home prior to making an offer or prior to closing and then not finding that specific item or finding a cheap knockoff after closing. 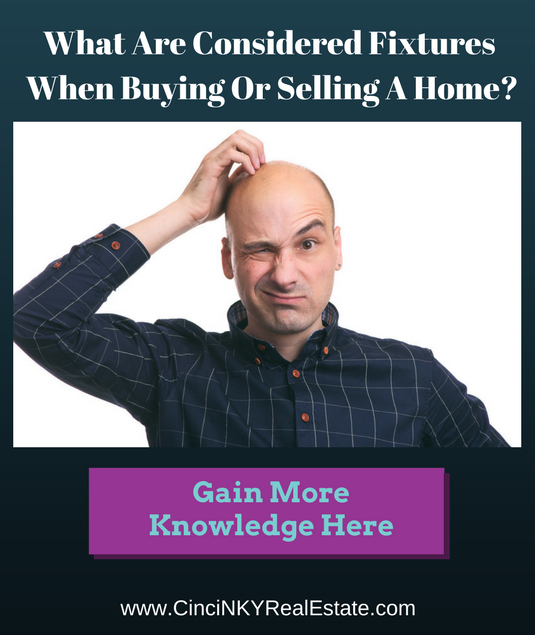 Home sellers should understand what a fixture is when selling a home and be ready to disclose up front if certain fixtures will not be remaining with the home. Homebuyers as well should understand what items are considered fixtures and what items are not so that in the case something is not really considered a fixture the buyer requests that item stay as part of the sale or is aware the item may not be there after closing. Simply stated a fixture is something that is physically attached to a part of the home that is supposed to stay with the home after the sale has been completed. For example a chandelier attached to the ceiling in a dining room or foyer area is considered a fixture and should stay with the home after the sale. Bookshelves that are physically attached to walls is another example of a fixture that will generally stay with the home. Everything else that is not affixed is considered personal property of the seller and generally does not stay with the home unless specifically requested in the purchase contract. Mold is a naturally occurring living substance that exists everywhere in nature and its purposes is to decompose organic matter. The organic matter is a food source for mold. Whether you think you have mold in your home or not the fact of the matter is you do have very small quantities of mold in your home. Mold in low quantities is generally not cause for concern. When mold accumulates in large quantities then humans and household pets can suffer ill effects from it. 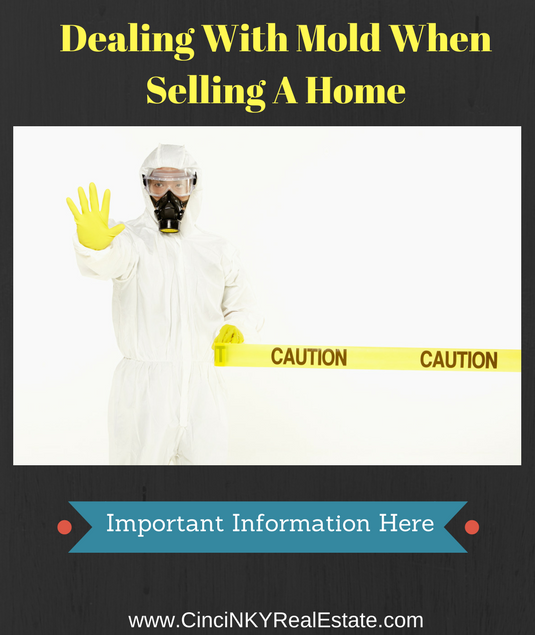 This article explores mold in the home and how it can affect the sale of a home. As mentioned above mold is found pretty much everywhere and as result is present in a home usually in very small quantities. Certain conditions in a home can cause mold to grow uncontrollably which then may require professional treatment and cleanup in order to get rid of. One of the most common ways which allows mold to get out of hand is water leaks, especially in areas where there is little to no air circulation or the water leak is continuous thus providing mold a constant supply of water. As the water leak begins to saturate carpets, walls, wood and more mold spores can attach themselves to those items and will start to grow uncontrollably. Especially for items with organic matter in them (wood and drywall) the mold will begin to not only eat away the surface of the wood but will also embed themselves in the wood themselves making removal of just the mold alone almost impossible.